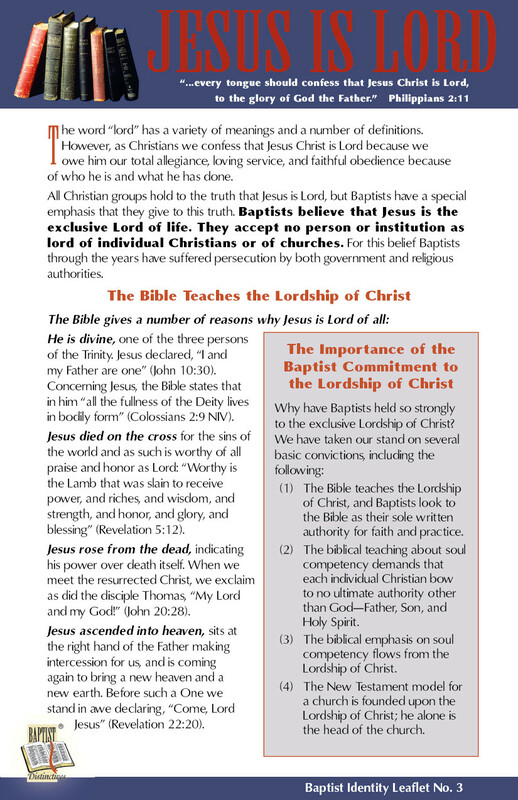 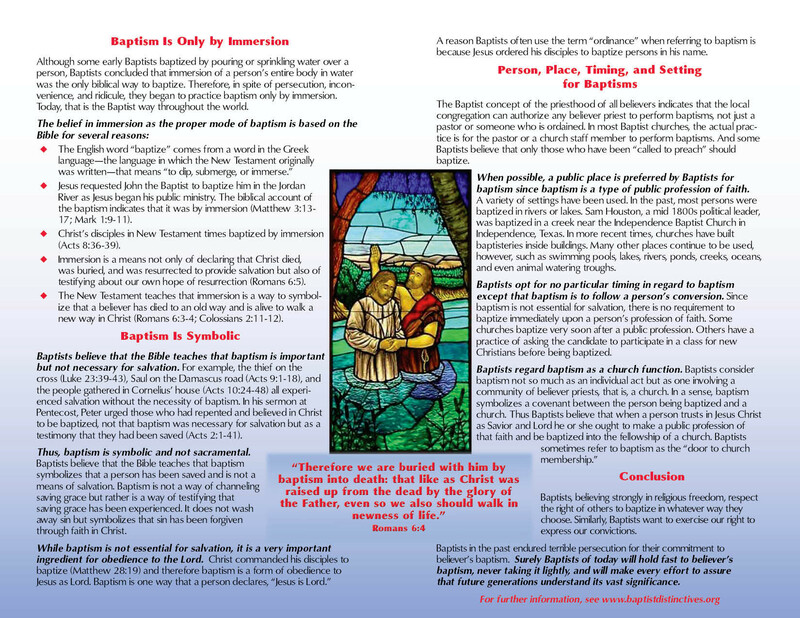 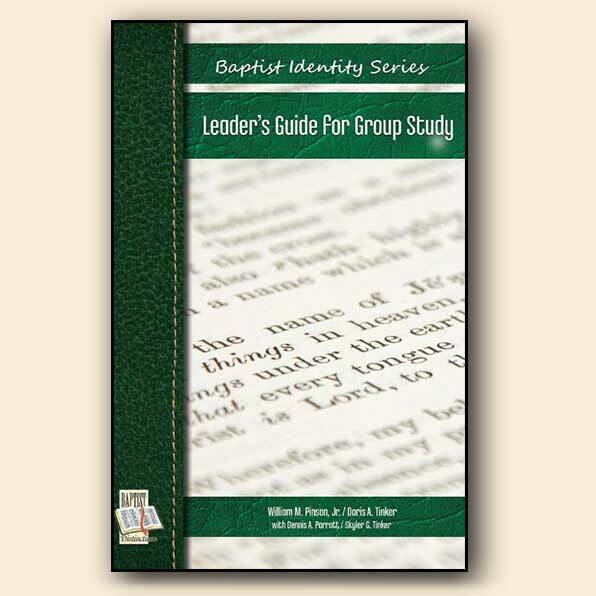 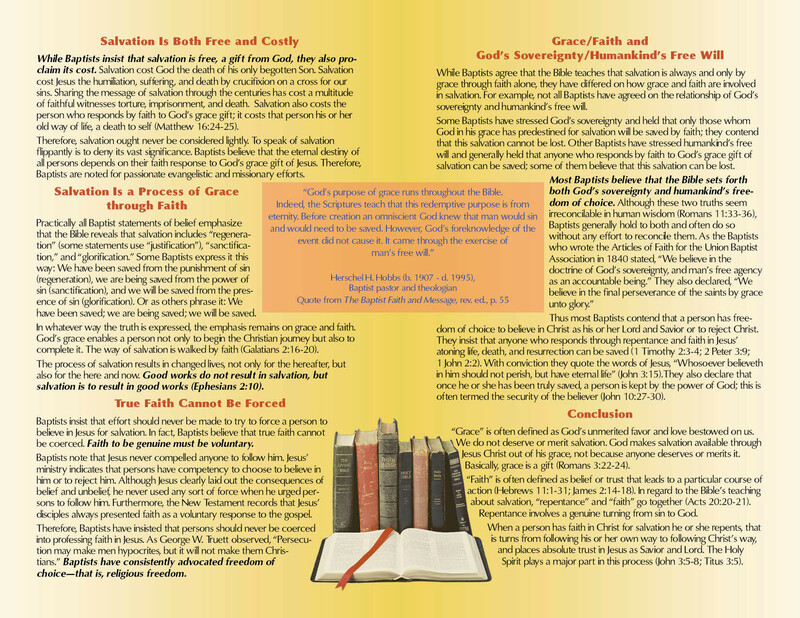 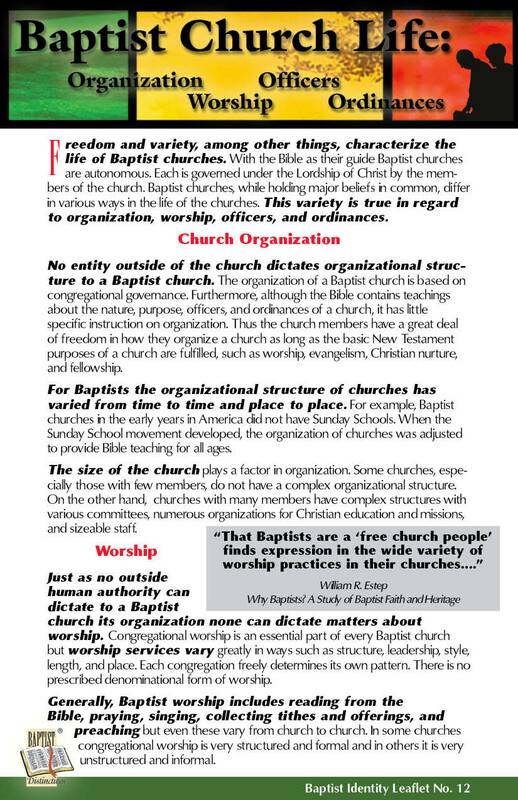 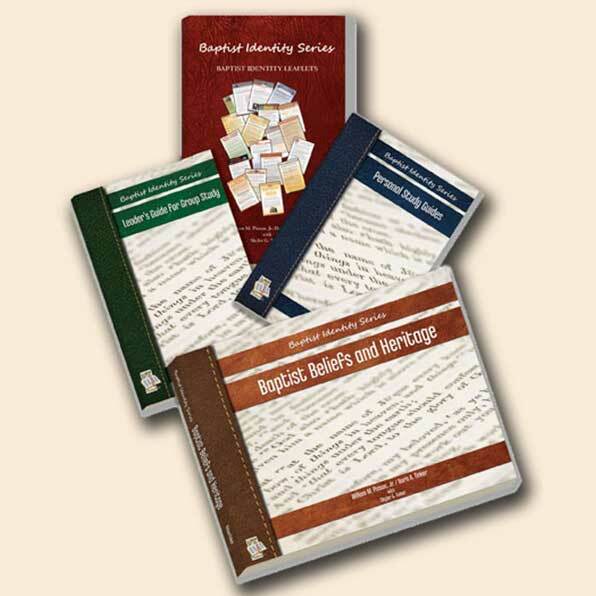 Personal Study Guides, an 88-page 5.5 x 8.5 book, contains nineteen guides including learning activities for use by persons in individual or group study on the topics in the Baptist Identity Leaflets. 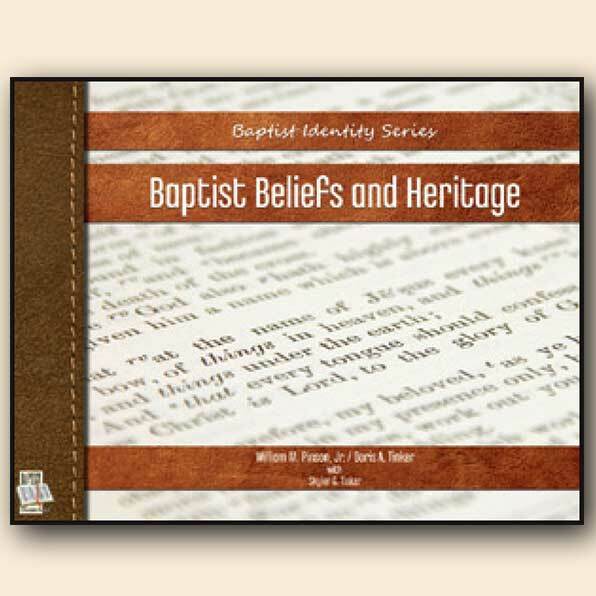 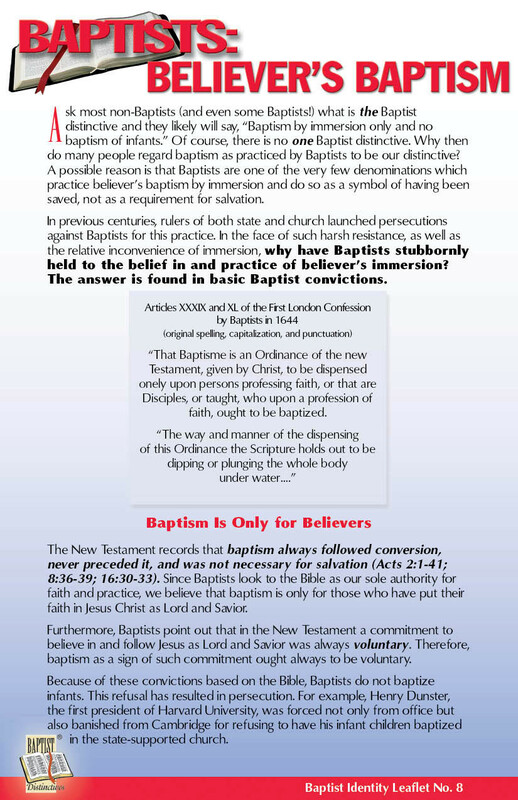 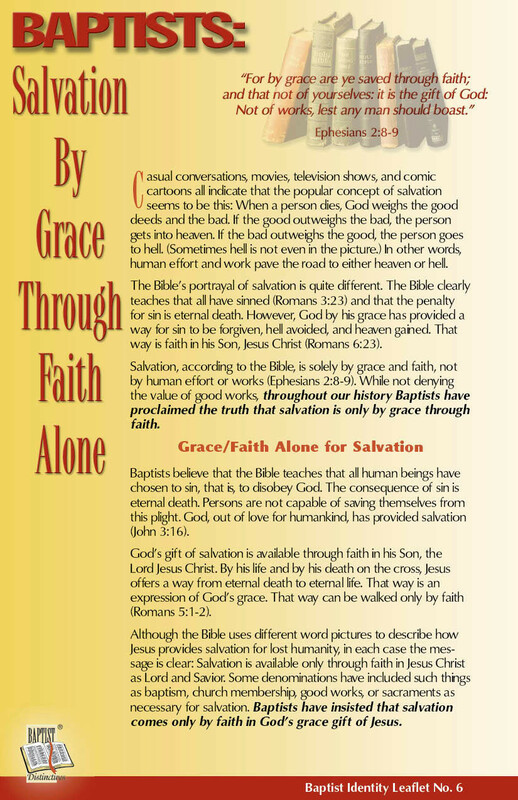 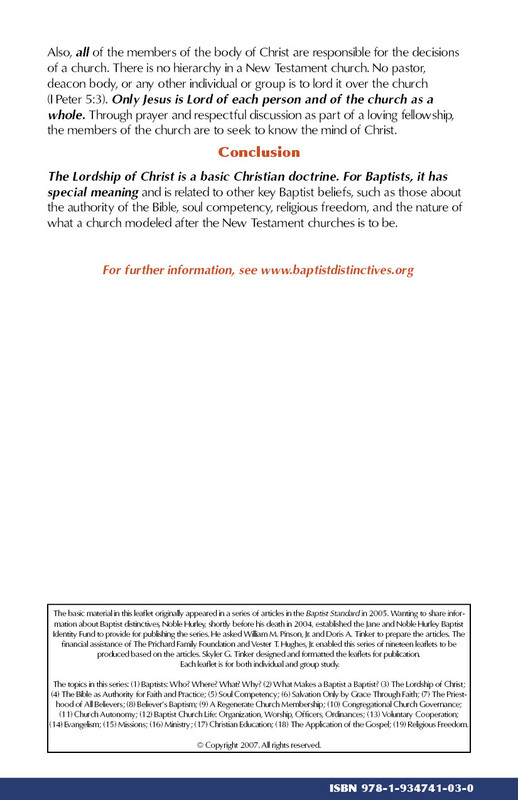 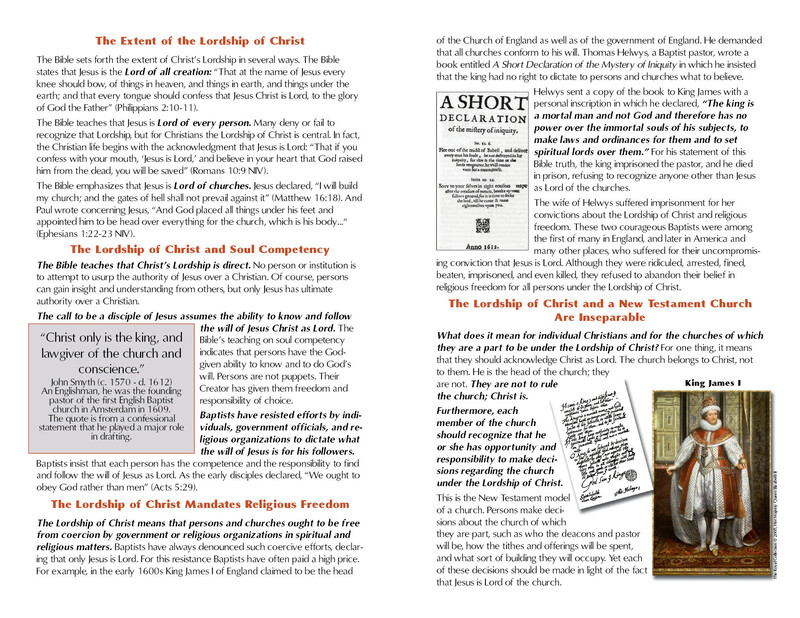 The book is designed to be used with the Baptist Identity Leaflets, either in the Baptist Beliefs and Heritage book or with the packet of individual leaflets. 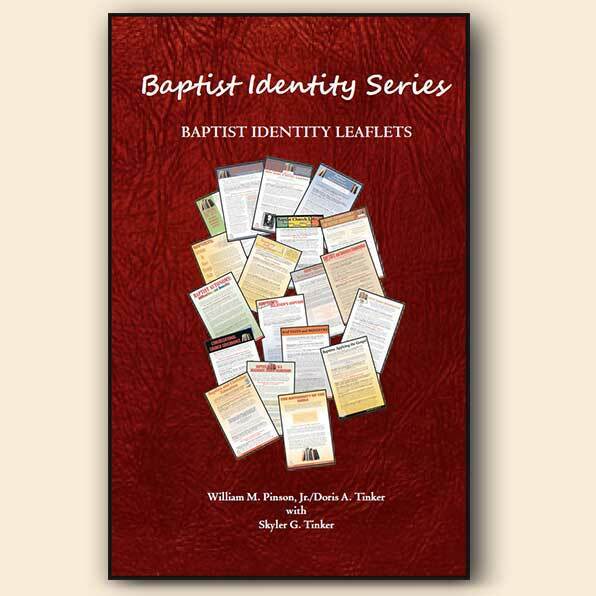 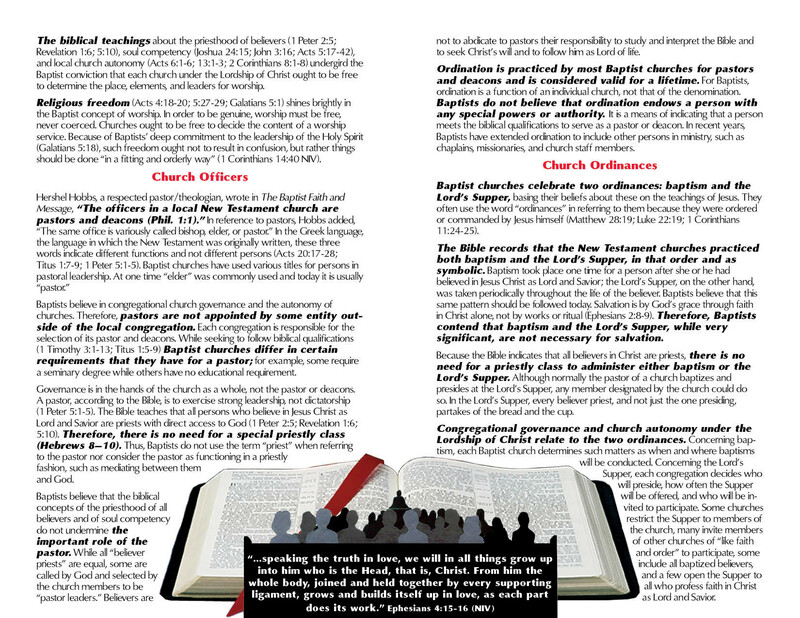 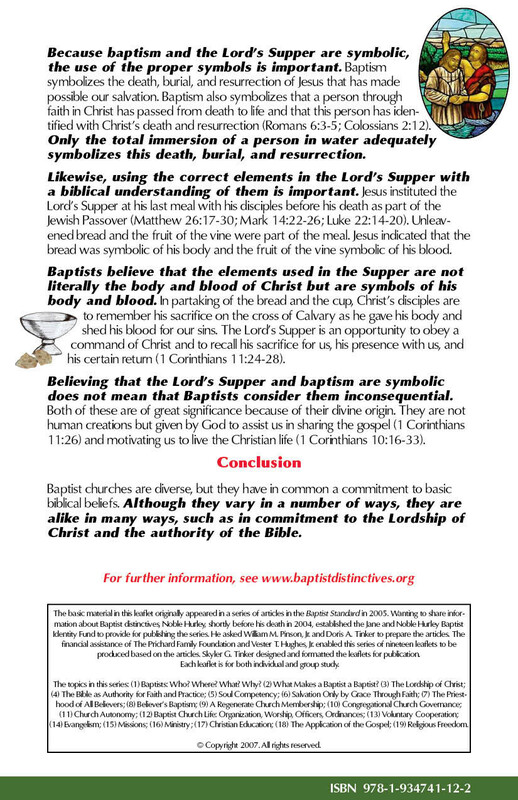 Although it can be ordered separately, ideally it should be ordered in combination with the leaflets, preferably as they are contained in the Baptist Beliefs and Heritage book.